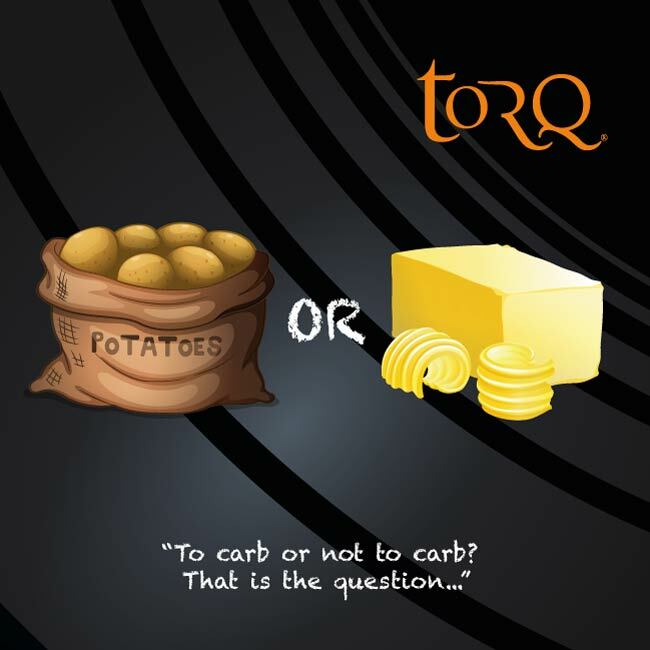 As an athlete or physically active ‘competitive’ person, are you in the slightest bit confused as to whether you should be consuming a diet rich in carbohydrate, or restricting carbohydrate intake and leaning more towards fat and protein as your major nutrient sources? There are certainly some mixed messages out there, so we feel that this topic desperately needs to be discussed in a balanced fashion to clear up any ambiguity. Our nutritional approach to competition, where the main goal is to maximise our performance and achieve our athletic potential, isn’t necessarily always the best approach to take when training, where the main goal is to put the body under physiological stress to stimulate it to adapt, recover and become stronger. In this article, we are going to look at how we can use a nutrition strategy called ‘training low’ or ‘fasted training’ to maximise the response we get to selected training sessions. There is a big fight going on in the sports nutrition arena at the moment, with two sides arguing over how endurance athletes should best fuel training and competition. On one side is a group arguing that a low carbohydrate high fat diet is the best approach, whereas the other is arguing that a high carbohydrate approach is best. When we look at the fuels that our bodies utilise to create the energy for our working muscles, we use two predominate sources, fat and carbohydrate. We have abundant stores of fat as fuel. For example, a relatively lean 70kg athlete with 10% body fat would have in the region of 63,000Kcal of fat stored, which would be enough to fuel a low intensity walk of a few thousand miles without the need to refuel. Carbohydrate on the other hand is a much more finite fuel reserve. A trained athlete who was well fuelled and rested would only have in the region of 2000-3000Kcal of carbohydrate stored within their muscles and liver as glycogen, and this is only enough for as little as 90 minutes of high intensity exercise. When we look at how our bodies utilise these fuels, as illustrated in the graph above, fat is the predominant fuel source for low intensity exercise, with the relative contribution of fat (white line) decreasing as aerobic power increases. On the other hand, the contribution of carbohydrate (orange line) is relatively low until higher exercise intensities are reached. When we start exercising at above 80% of our aerobic power, we are almost entirely reliant on carbohydrate. Carbohydrate is a much easier fuel source for the body to use at high intensity, as it requires less oxygen to breakdown, so give us a greater economy, but as explained above, it is a finite resource. Through training and nutrition, we can increase the contribution of fat as a fuel source to exercise and this is a key area of interest for many athletes, as the more we can rely on our abundant fat reserves, the longer our glycogen stores will last for, which will delay the point at which we blow up/hit the wall and get the associated catastrophic drop in performance. ‘Blowing up’ or ‘Hitting the wall’ or ‘Bonking’ are all expressions used to describe the painful, debilitating and performance-crippling effects of running out of carbohydrate when exercising! Low Carbohydrate High Fat Diets (#LCHF) and Fat Adaptation – In a bid to increase fat burning, one relatively extreme approach that some athletes have adopted is to follow a low carbohydrate, high fat diet. By reducing the amount of dietary carbohydrate to <25% of total energy intake, in as little as 6 days, the muscles retool to be able to utilise fat at a much higher intensity. This process is often referred to as ‘Fat Adaptation’. This has benefits in that it allows us to more effectively tap into the abundant reserves of fat stored within the body and use fat at a higher relative exercise intensity. There are some significant downsides though. Even with a very well trained fat metabolism we can only use fat up to around 60-75% of our aerobic power, which effectively means that we remove our ‘top gears’. By limiting the carbohydrate in our diet to relatively small amounts, we also switch off our ability to utilise carbohydrate, which means that even when we top our glycogen stores back up before competition, we cannot use carbohydrate effectively and our ability to perform high intensity efforts is destroyed. It’s these high intensity efforts that often win us races or allow us to beat our competitors, so despite the proven benefits, typically this leads to a decrease in overall performance. This is reflected in the scientific literature, where to date, no studies have convincingly shown an increase in endurance performance as a result of consuming a low carbohydrate high fat diet. 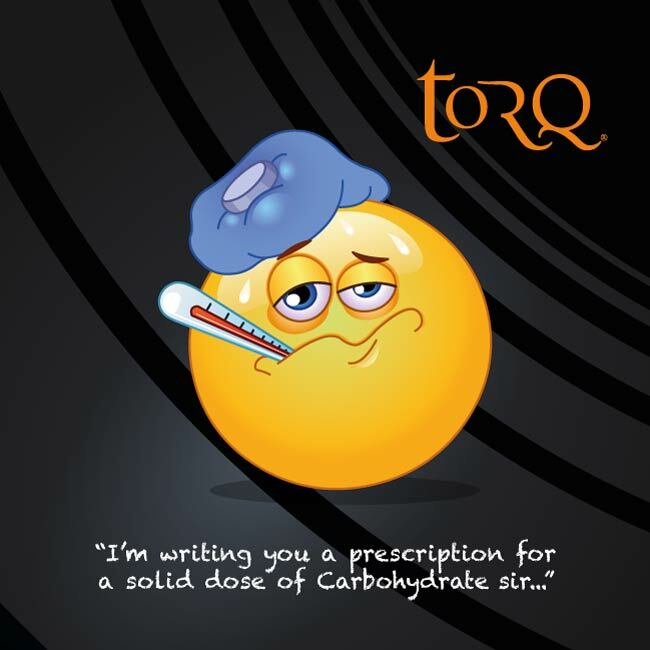 Reducing carbohydrate in the diet may also put you at a greater risk of illness and infection as our immune systems prefer to use carbohydrate as a fuel source. High Carbohydrate Diet – This is the more traditional approach to training nutrition and reflects the approach that many athletes have to competition. All training sessions are completed with the goal of ensuring high carbohydrate availability (i.e. fuelling before/during/after). This allows high volume, high quality training to be completed, with rapid recovery. It replicates the demands of competition, limits the chance of overtraining and helps the gut to adapt to a high carbohydrate intake, reducing the risk of stomach issues during competition. Carbohydrate is also vital for optimal muscle and cognitive function, so this approach helps to ensure high quality training and reduces injury risk. There is also a very large body of evidence to show that high carbohydrate availability can significantly enhance endurance performance. Stellingwerff & Cox (2014) conducted a comprehensive review on the topic (referenced at the end of this article). However, we need to marry this with the benefits that can be achieved through fat adaptation training, where the diet is very low in carbohydrate and accept that fuelling every session in an optimal way with carbohydrate can lead to a reduction in our ability to utilise fat. Naturally, the body will use carbohydrate in preference to fat, when carbohydrate is readily available. 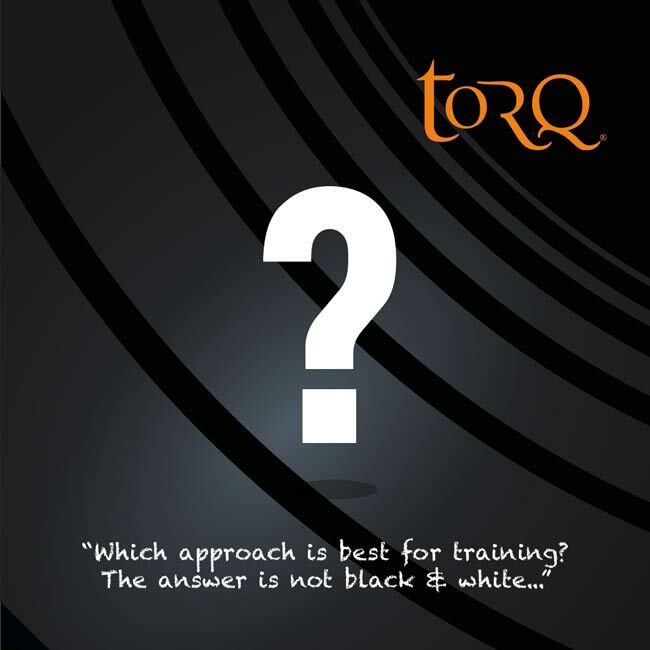 So, you may be wondering which approach is best for training? Well, as with many things in sports science and life in general, it’s not black and white and the answer lies somewhere within the middle ground. A combination of training with both high and low carbohydrate availability can help us to develop a body that can effectively use both carbohydrate and fat effectively (often referred to as metabolic flexibility) which ultimately will be the best way to enhance our performance and improve as endurance athletes. For the next part of this article we are going to take a detailed look at exactly what ‘Fasted Training’ or ‘Training Low’ as it’s commonly called, actually is, what the advantages and disadvantages might be, and how you might fit this nutritional strategy into your own training program. It’s highly likely that you may already train in this way to some degree, perhaps by chance rather than design, but a better understanding of it will help you to maximise the benefits and help manage some of the downsides. ‘Training Low’ (TL) by the way, must not be confused with training at low altitudes – it’s about training with low carbohydrate availability. TL is a form of nutritional periodization, much in the same way that your training sessions aren’t the same day in day out, your nutrition shouldn’t be either. Essentially we are looking to fuel specifically for the work required, matching the amount of carbohydrate that we consume to the demands of the training sessions that you are completing. For example, if you are completing a high intensity interval type session, then it needs to be well fuelled with carbohydrate. On the other hand, if you are completing a low intensity training session, you don’t necessarily need to consume lots of carbohydrate and can achieve benefits from carefully limiting carbohydrate intake. This means that although some training sessions would be deliberately focussed at maximising physiological adaptations through adopting a low carbohydrate regimen, others would need to be optimally fuelled to achieve the associated benefits. Competition would always be completed with high carbohydrate availability, as put simply, carbohydrate is king for performance. This is often referred to as the ‘Train Low/Compete High’ paradigm for nutritional periodization. Training 6-10 hours after your last meal – often referred to as fasted training. Completing an endurance training session longer than 60-90 minutes without consuming any/sufficient carbohydrate during the session. Training before breakfast, having not eaten since the previous day. Training twice a day and not refuelling with sufficient carbohydrate in-between sessions – it can often be impossible to replenish glycogen stores with less than8 hours between sessions. Training in the evening and again the following morning with limited/no carbohydrate consumed in between. 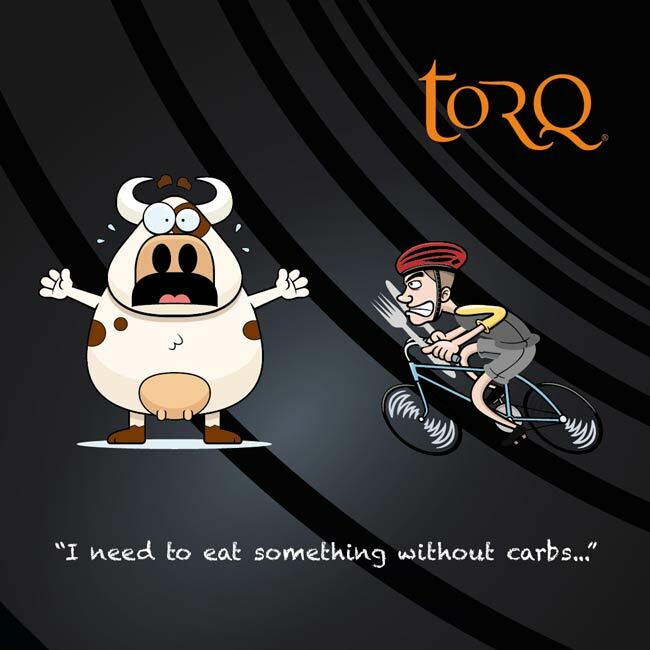 Many athletes already inadvertently train/recover in a low carbohydrate state without realising it. We can all hold our hands up to forgetting to consume sufficient fuel on a long training session, missing a meal before training because of a busy schedule, or not refuelling sufficiently after a hard session. To maximise the impact of TL however, it makes sense to recognise when you are and aren’t doing so, to enable you to schedule your training sessions properly and benefit from a correctly periodized and managed approach to the concept. Training low is not some magical training technique that will suddenly turn you into a super elite athlete after a couple of sessions, but used appropriately can help you to get a little bit more out of some of your training sessions, which when completed consistently over a period of time, could lead to some improvement in your performance. One of the most important adaptions to endurance training is an increase in the number of our mitochondria and this occurs through a process called ‘mitochondrial biogenesis’. Mitochondria are basically the engine of the muscle cells, responsible for burning both fat and carbohydrate. The more mitochondria that we have, the better our exercise capacity (i.e. with more mitochondria we can perform more work over a shorter period). Although nobody has ever won an Olympic games through having the most mitochondria, it’s a key part of our physiology that can help our performance. The stress associated with exercise leads to our muscles sending out signals (or ‘gene expression’ as its referred to in science). These signals dictate how the muscles respond and adapt to that sessions. 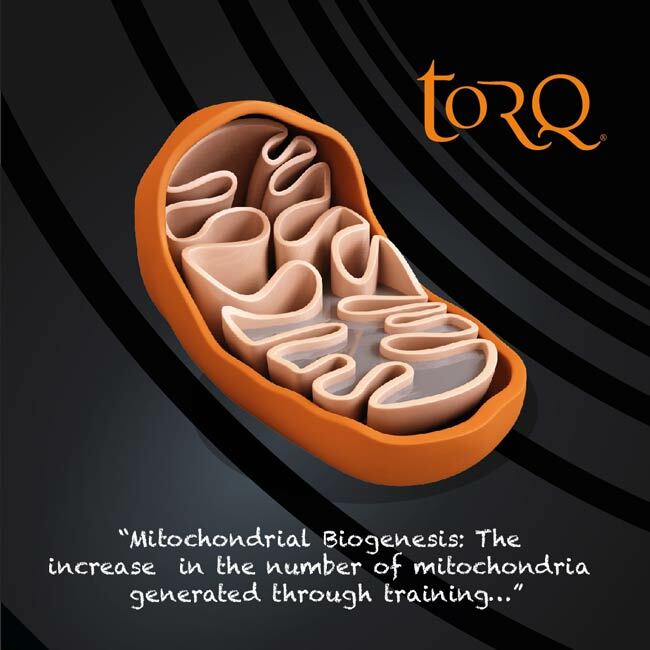 In the case of training with low carbohydrate availability, the increased stress response from not having carbohydrate available as a fuel, leads to an increase in signals associated with mitochondrial biogenesis and means that training low results in a greater amount of mitochondrial biogenesis than training with a high carbohydrate availability. This effectively means that you get more bang for your buck when it comes to training with low carbohydrate availability. Several studies have now shown that completing selected sessions with low carbohydrate availability can lead to positive training adaptations associated with fat metabolism, (of which mitochondria biogenesis is a key one), to a greater degree than training with high carbohydrate availability for all sessions. 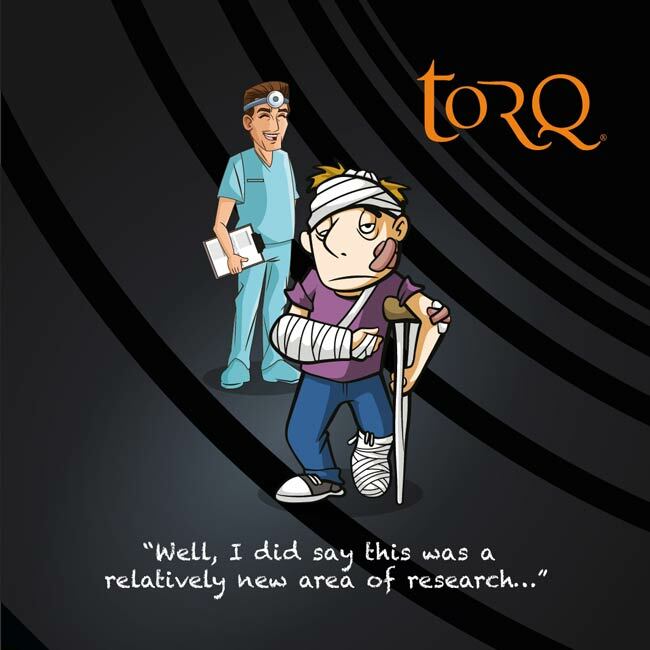 Several studies listed at the end of this article support these findings (Bartlett et al. 2013; Hulston et al., 2010; Lane et al. 2015; Morton et al., 2009; Van Proyen et al. 2011; Yeo et al., 2008). It is important to note, that although very important, the increase in mitochondria is only one of many adaptations associated with endurance training and if we were to train low all the time, we wouldn’t get any of the key changes associated with utilising carbohydrate from ‘Training High’ (TH). It is therefore important to balance both high and low carbohydrate training and to ensure high carbohydrate availability on competition day to ensure optimal performance. It runs deeper than this too, because failure to perform high intensity endurance and anaerobic interval sessions as part of your periodised training plan will leave you ill-prepared for competition. The key to TL is to tap the benefits of mitochondrial biogenesis without destroying your ability to burn carbohydrate and your form in general! There is now emerging scientific evidence that periodised TL sessions not only lead to an increase in specific training adaptations, but importantly, can also lead to increases in endurance exercise performance when balanced with TH sessions. Two studies by Marquet et al, published in late 2016, have shown performance improvements in relatively short time frames, in moderately trained athletes, as a result to including some TL sessions in combination with some TH sessions, as part of a structured training plan. Interestingly, these studies have compared two separate groups of athletes with identical training loads and carbohydrate intakes, the only difference between them being the timing of the feeding of carbohydrate. So, one group completed all the sessions with high carbohydrate availability whilst the other performs some training with high and some with low carbohydrate availability. Simply by adjusting the timing of carbohydrate intake in a structured fashion, these researchers were able to improve performance in these moderately trained athletes in as little as 1-3 weeks. Recovery – Once you deplete your body’s stores of glycogen, it can take up to 24-48hours consuming a high carbohydrate diet to fully replenish them. If you are completing a training session with low glycogen stores and have limited time before your next high intensity training session where carbohydrate is needed, a fasted session could compromise your performance during the following session. As we’ve already alluded to, many athletes already inadvertently TL, often because of poor fuelling practices and therefore, have less of a need to implement this strategy into their own training programs. In fact, if you already spend a lot of training time in a low state, ironically you are likely to benefit more from performing a greater number of training sessions in a well-fuelled state! If you’re looking to implement this type of training into your program, we would advise that you speak to a qualified sports nutritionist or coach before considering it as an option. 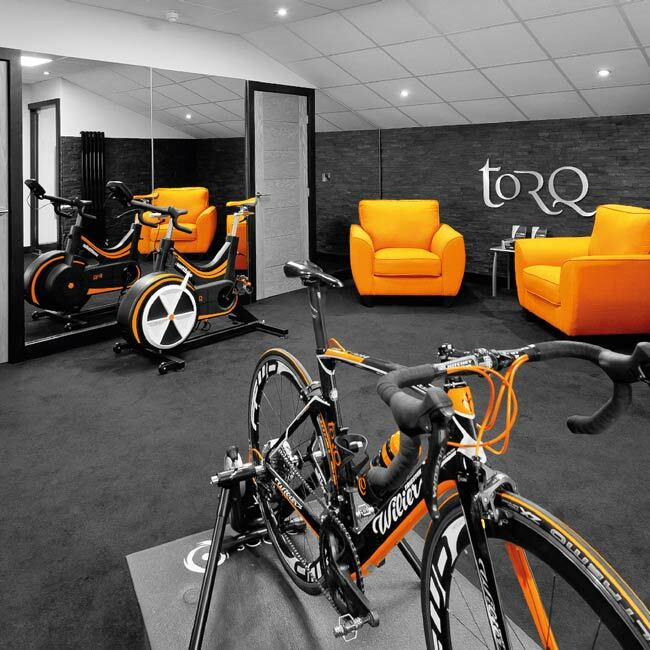 We have offered Fitness Consultancy at TORQ since we were established in 1999 and we now cover this topic as part of our introductory Comprehensive Performance Package, so please contact us at enquiries@torqfitness.co.uk or phone 0344 332 0852 if you are interested in booking in with us. How Often? – For athletes completing 5-6 days of training per week, undertaking multiple training sessions within a day, or having a generally high training volume, training low is inevitable, as it can be a challenge to consume sufficient food to meet the carbohydrate requirements of exercise. In this scenario, there is little need to program low training sessions into your week as it is likely to occur anyway. A focus on optimal fuelling is likely to be the best approach and an awareness of when your glycogen stores might be low, can help you to better manage the negatives of training low. Please note that if this situation sounds familiar to you, you should turn the sentiment of this article on its head and ensure that you schedule enough TH sessions into your program. For the average athlete with limited time to train (say 3-4 sessions a week totalling 4-5 hours of training), it is important to maximise the time you have available by creating the greatest training stress possible. The inclusion of a 1-2 hour TL session could bring about aerobic benefits similar to a much longer well-fuelled session, so is the ideal approach for time-starved endurance athletes. However, limiting it to around 1-2 sessions at most will help ensure the balance between TH and TL training. Training Intensity – Training low will increase the perceived exertion of a training session. It’s also impossible to tap into the anaerobic (high power output) system without a good supply of carbohydrate. To prevent this influencing the quality of the session, it is important to choose sessions that are not too prolonged or intense in nature. As mentioned earlier, an all-out interval session would be almost impossible or highly compromised when in a TL state, but a 1-2 hour low intensity ride would be perfectly targeted. Drinking a strong black coffee before the session, can help you through these sessions because of the benefit that caffeine can have on performance, particularly when fatigued. Rinsing a carbohydrate drink around your mouth without swallowing it has also been shown to help to reduce the perception of effort when glycogen stores are low, but don’t expect any miracles if you’re going to try this (Kasper et al., 2016). Protein Breakdown – Consuming around 20-25grams of a lean protein source, such as 2-3 scrambled eggs before a session can help to offset the breakdown of protein during a TL session and help keep hunger at bay. 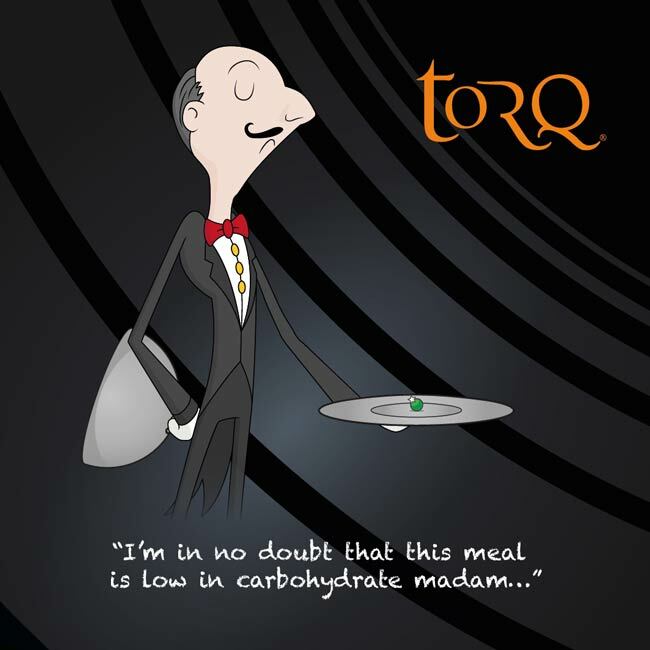 TORQ’s developing SNAQ range offers some practical solutions to this problem too, by providing some specifically designed high protein/low carb breakfast and meal options to be used in conjunction with these unique periodized sessions. Recovery Time – Completing a TL session can increase the amount of time it takes to recover in comparison to a well-fuelled session, so you will need to consume a carbohydrate and protein-rich diet for 24-48 hours if you’re wanting to follow up with a useful high intensity exercise bout. Selecting a session prior to a rest day would represent the ideal option. For this reason, it may also be best to avoid this type of training around competition too. If you’re time-limited, periodizing 1-2 TL sessions per week into your regimen may provide aerobic benefits over a 1-2 hour period that would otherwise require a longer ‘fuelled’ session. Combine these TL efforts with 2-3 well fuelled sessions. If you’re an accomplished athlete with a significant amount of time available for training, you could still benefit from some TL sessions if you take some time to analyse at which points during your schedule your carbohydrate stores are likely to be naturally low, despite good fuelling practices. These would tend to be at the end of a run of high load training, leading up to a rest day and we feel that this should be an ideal time to put a ‘Low’ training session into your schedule. You can then follow it with a rest day, high carbohydrate diet and get back down to business. Be aware that if you’re not currently fuelling your training properly, you’re likely to get much bigger rewards by paying attention to this than any committed TL sessions. If you’re a complete beginner or novice athlete, get a solid few months of training under your belt before you even start to consider something like this. A focus on optimal fuelling will help you enjoy your training and likely get more out of it in the early stages of your athletic career. To summarise, TL is a tool that can help you to get more out of your training, but don’t expect magical results from it. The downsides must be very carefully managed to ensure that this method doesn’t negatively impact your training and remember, the key is, as with many things in life, all about ‘balance’. Also (and this can’t be stressed strongly enough) many people don’t fuel their training sessions properly anyway and are therefore undergoing a TL regimen without even realising it. Although this may provide associated benefits such as mitochondrial biogenesis, their performance will suffer because of inadequate fuelling for many of their sessions and lack of metabolic flexibility. These people would make huge gains through consuming more carbohydrate ahead of and during the training sessions that really depend on it as a fuel source. 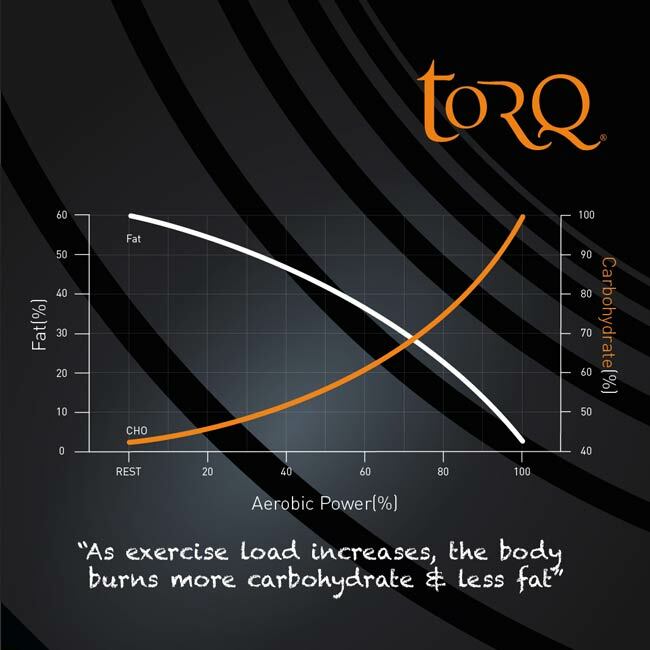 The vast majority of people who haven’t followed a structured fuelling regimen before and have gone on through our advice to increase their intake of carbohydrate-rich foods and use TORQ products, have made significant performance gains through increasing carbohydrate availability. Therefore, if you are going to schedule some TL sessions into your routine, it’s vital that you plan them properly and think about the bigger picture. A random approach is unlikely to get you very far and you would be much better off sticking to a high carbohydrate diet and fuelling every session properly.